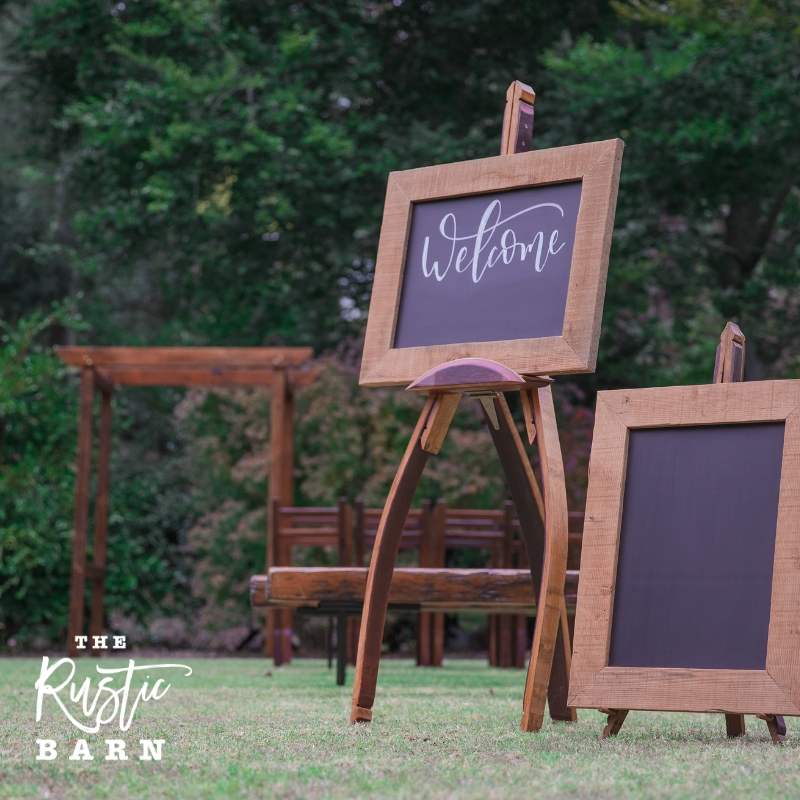 The Rustic Barn wedding ceremony package includes all the essentials you need for a beautiful outdoor wedding ceremony. “Just a quick email to thank you so much for setting our ceremony up this weekend. It looked stunning!! Delivery charges may apply and vary depending on location. Contact us today to enquire about availability for your date. 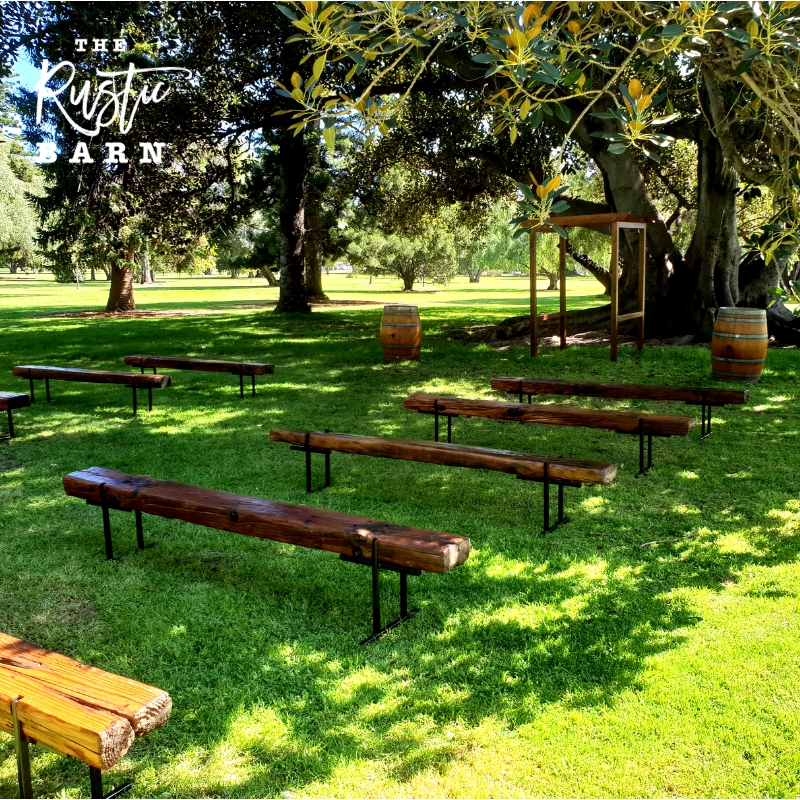 The Rustic Barn wedding ceremony benches are hand-crafted from reclaimed Australian railway sleepers. 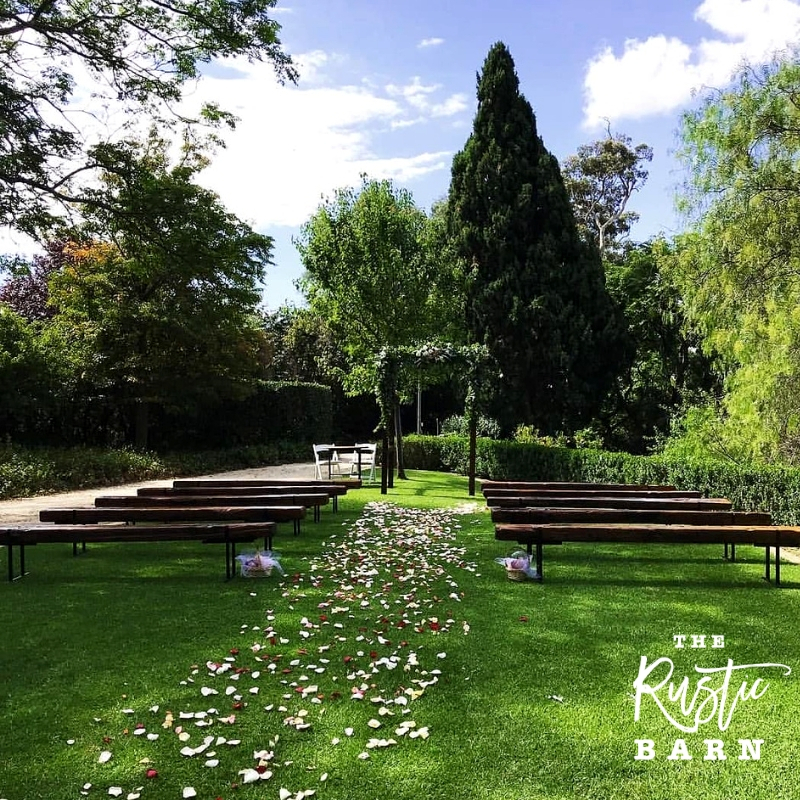 Natural romance and charming atmosphere comes free by booking your piece of 100 year old Australian history at your wedding ceremony. These reclaimed railway sleeper wedding benches seat 50-60 guests. Your choice of either Four-Post or Two-Post hand-crafted arbour. 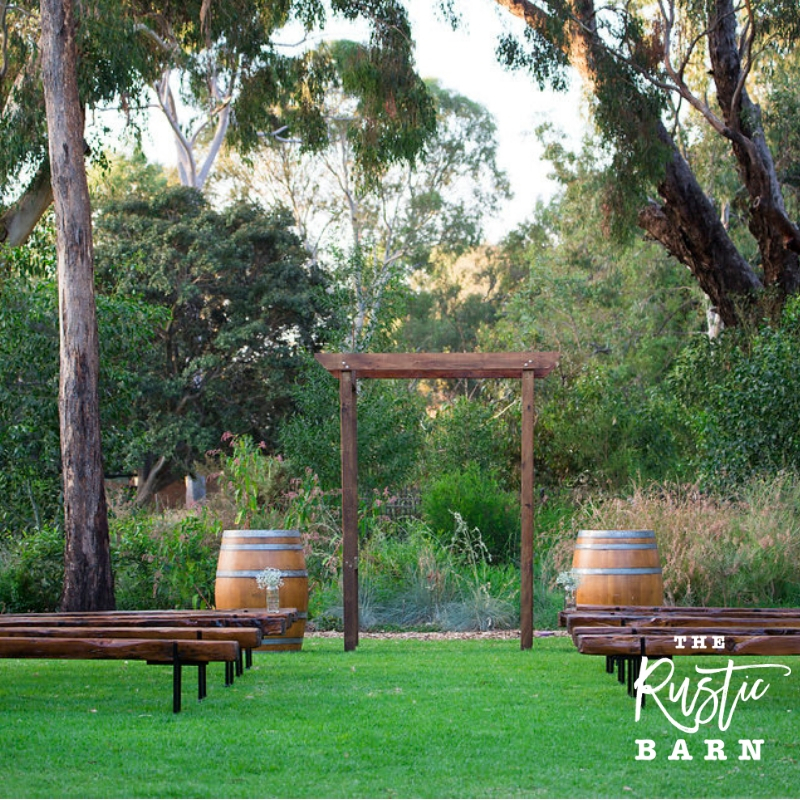 Reclaimed and restored wine barrels from local wineries in South Australia. 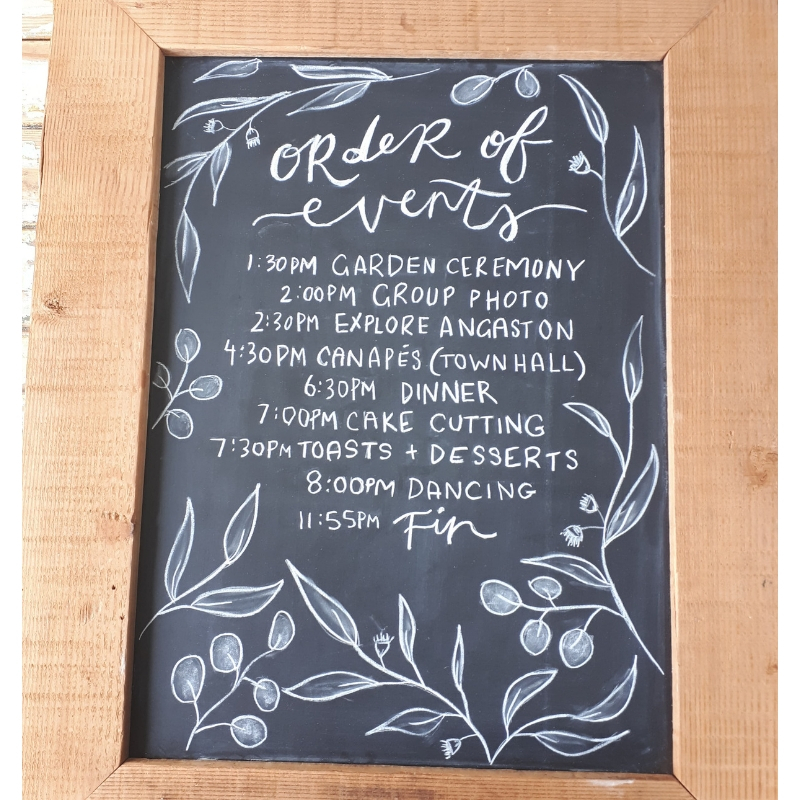 Perfect for your wedding cake, flower arrangements, wedding signs, guest book display, cocktail tables, cocktail nibbles / cheeseboards, aisle pedestals... and so much more! 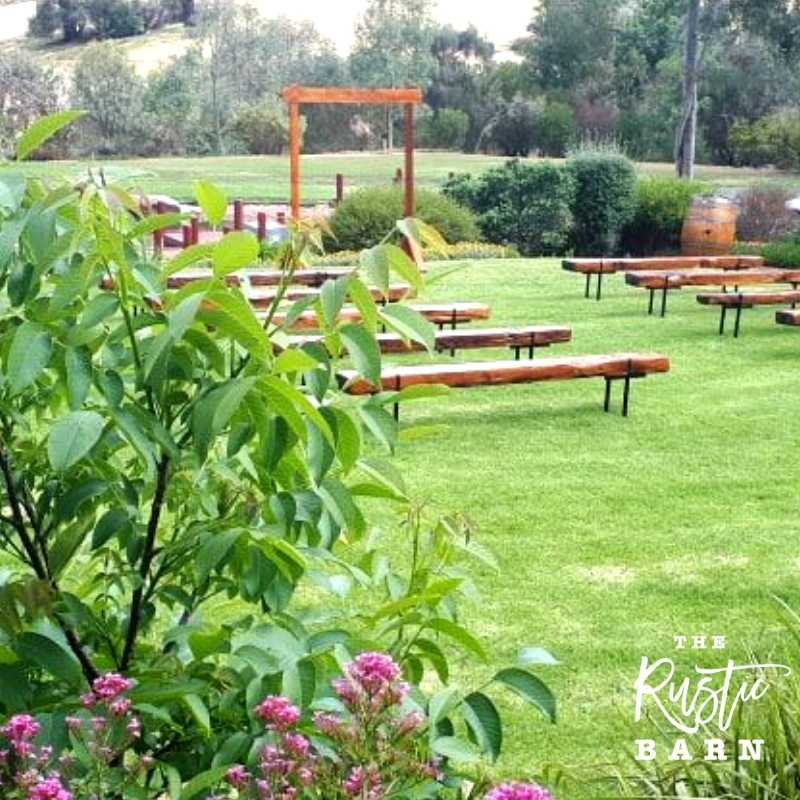 Hand-crafted rustic easels from reclaimed South Australian wine barrels. 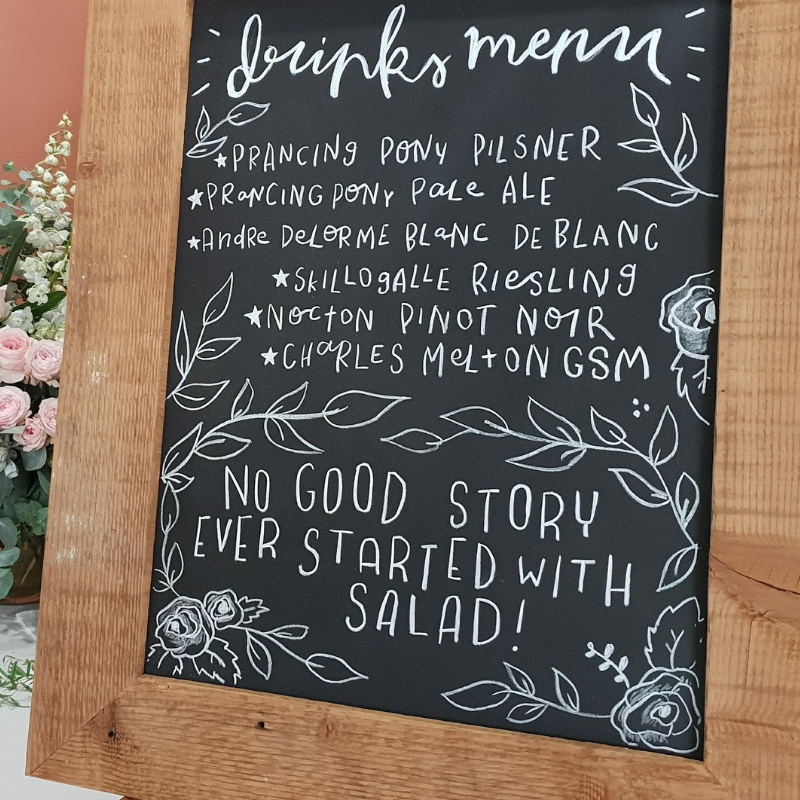 An elegant display perfect for your wedding greetings, wedding signs, chalk board displays and photos. And you can talk to us about professional chalk art. We can arrange it for you!